It’s baseball season! 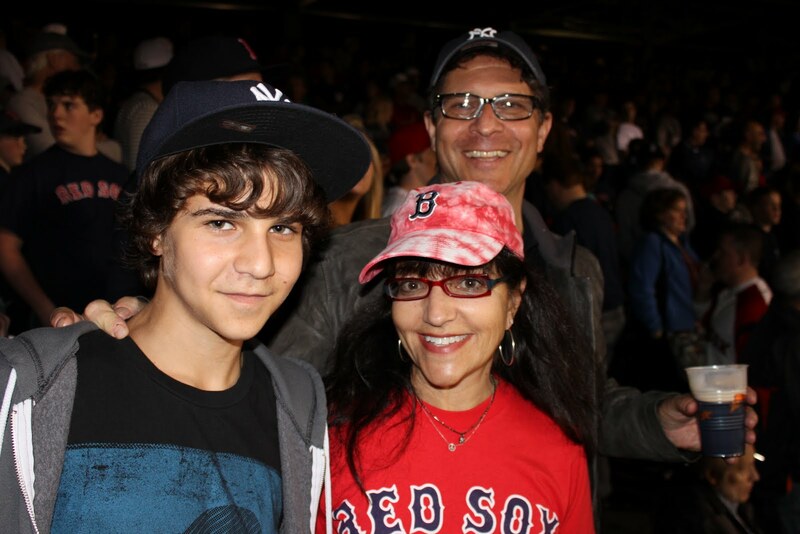 By now, all of you know that I’m a passionate baseball fan and an especially passionate Red Sox fan, having grown up in Massachusetts. This article continues the posts begun last year with Baltimore and Chicago baseball trips, or “Fancations” as I have dubbed them, trips to destinations built around going to a baseball game. My mission, together with my son Elias, is to visit every one of the 30 Major League baseball stadiums within the next several years. 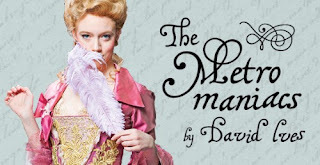 I welcome your comments and suggestions as Elias and I set out on our travels. You can’t win all of them, but your choices can sure improve the odds. On my most important Fancation of the year, Opening Day at Fenway Park to see the Red Sox play their rivals, the New York Yankees, I chose to stay at a historic hotel within walking distance from Fenway Park, the lovely Lenox Hotel. A member of Historic Hotels of America with a storied history dating back to 1900, the 214-room hotel distinguishes intself on many levels: it’s beautiful and classy, the rooms are graceful and lovely, the food at its City Table restaurant is surprisingly exciting and varied, and the service is five-star. From friendly greetings by the doorman and valet, to the lovely ladies at reception, to the exemplary concierges, there are no slip-ups. Everything is the way you want it to be with anticipatory requests for newspapers and snacks and welcome-back hellos. 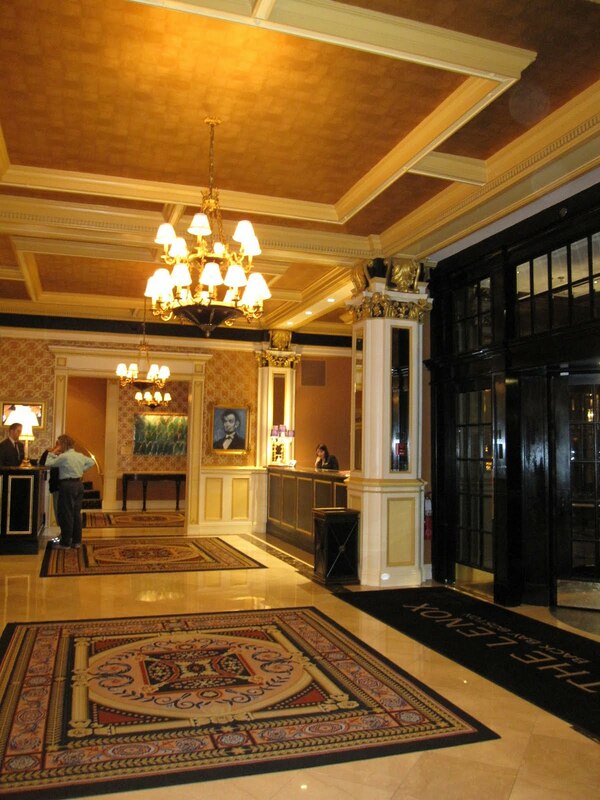 You immediately feel like you’re a valued part of the Lenox Hotel family. I’ll take that over an impersonal hotel with larger rooms any day. And speaking of rooms, my corner suite was gorgeous with a colonial brass chandelier hanging from a ceiling mount, beautiful window treatments and cushy beds. Local newspapers were provided and WiFi is free. Bottles of water are also free, very considerate in my opinion as you are encouraged to use the hotel’s fitness center or meander along the streets exploring Boston and Cambridge. Two standout employees deserve recognition. Jason Lloyd, the concierge from Los Angeles, is a superstar in the making, well on his way to earning Clefs d’Or distinction. Peter, who greeted me each day at the door, always inquiring how he could assist me, never wanted recognition but was at-the-ready to help with anything I needed. I could have been one of the hotel’s more famous guests who had enjoyed long-term stays at the hotel, like Judy Garland, Babe Ruth and Red Auerbach, but it was just me. And it didn’t matter. I was as important to them as anyone else. 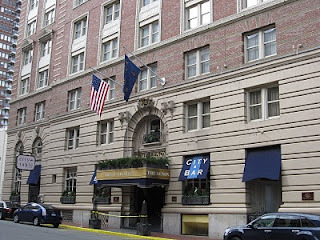 I loved City Table restaurant and its adjacent City Bar . The restaurant offered a wonderful selection of small plates and main courses with something to appeal to all from lobster rolls to a slider selection plate (short ribs, burgers, and lobster rolls) to meatier fish dishes and steaks. And the lively Irish bar down the front stairs served up pub grub in a setting that’s about as authentic as you can get in the US: Sólás was built in Liverpool and shipped to Boston in 1966. All three bars were well stocked with wines, bourbons, beer and tequilas helping to calm down Rex Sox-inspired wins or losses and were open reasonably late, something sometimes hard-to-find in Boston. 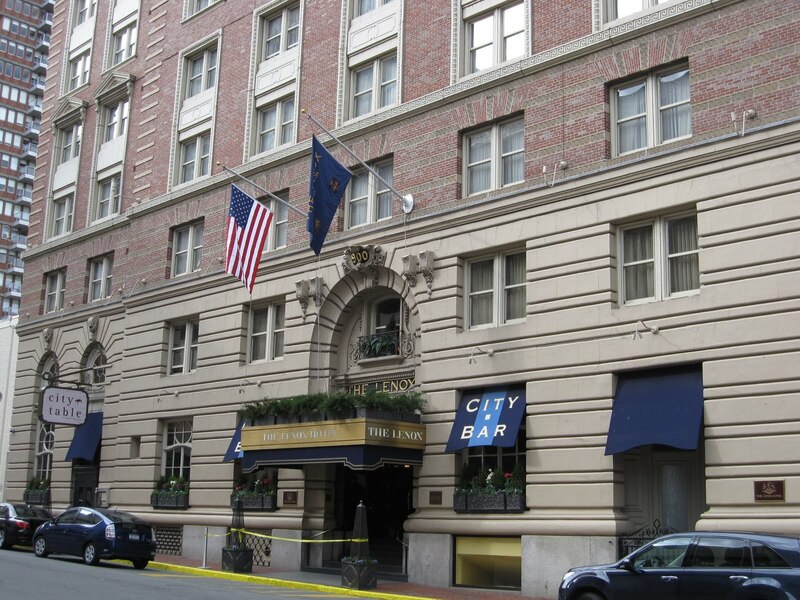 For a Fenway vacation or TD Garden event, the Lenox sits in a perfect spot, near enough to the Amtrak station, for an easy car rental from Enterprise or Avis, or to the "T," Boston’s subway system. It’s also luxe and quiet without trying to be what it’s not, trendy, sceney, or hip like its new Mandarin Oriental or Taj neighbors. During baseball season, now through October 3, there’s a Red Sox “Take Me Out to the Ballgame” package that includes two stellar tickets to a sold-out Red Sox home, luxurious accommodations for two, and a special Red Sox snack amenity. Starting at $550 up to $975 when the Yankees are in town, the package is a super deal – just try to get those Red Sox tickets on your own. I love it! If you want a five-star holiday where “everybody knows your name,” the Lenox is your kind of place. It will be mine for a very long time. Lenox Hotel, 61 Exeter Street, at the corner of Boylston Street; Boston, Massachusetts 02116, 617-536-5300 or 800-225-7676.